These coins have been given a matte finish to give the coin a more striking appeal. 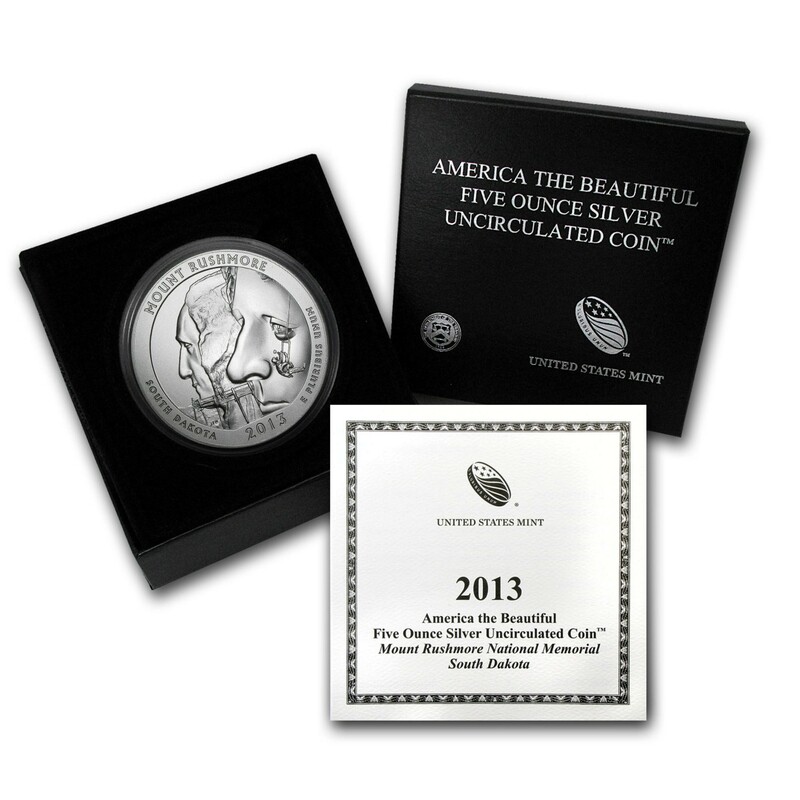 This is a collector edition because the coin displays the "P" mintmark. Comes in original mint box with certificate of authenticity. 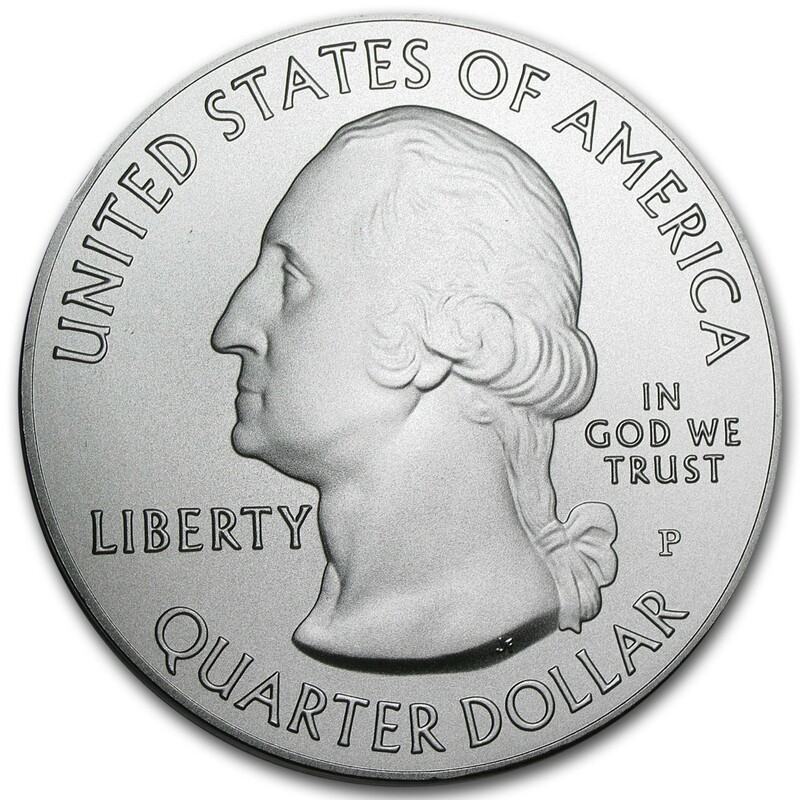 Obverse: Pays homage to the Washington Quarter featuring the text "United States of America", "Liberty", "In God We Trust", and "Quarter Dollar". The addition is the "P" mint mark just to the right of Washington's pony tail. Reverse: The image of 2 working men carving the faces of Thomas Jefferson and George Washington into the side of Mount Rushmore is displayed. 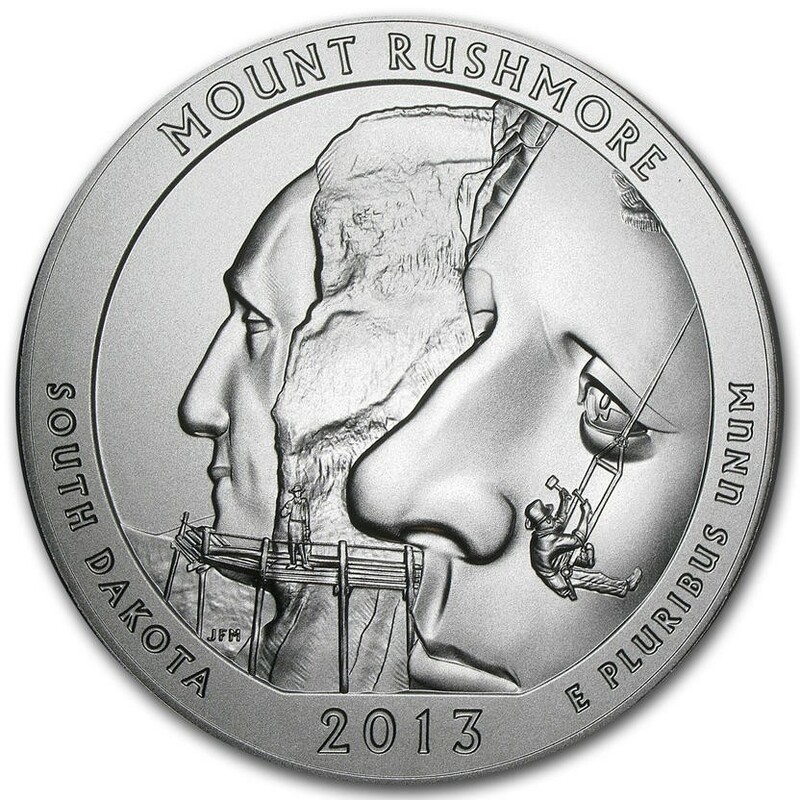 "Mount Rushmore", "South Dakota", "2013", and "E Pluribus Unum" are etched along the edge of the coin.